Sudan and South Sudan appear to be on the brink of war as security in the border region continues to deteriorate, reports VOM-USA. 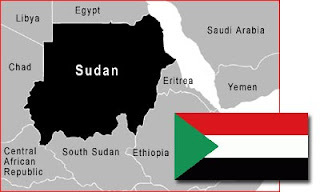 Sudan continues to attack and bomb areas along the border, including areas inside the new sovereign nation of South Sudan. The border region is home to vast natural resources as well as majority-Christian ethnic groups. "We are following this situation very closely as we plan projects and outreaches to respond to the crisis and encourage the persecuted church in the Nuba Mountain region," wrote a VOM field worker. In early December, Christian aid organizations serving refugee communities along the border were forced to evacuate their field workers because of intense aerial bombing and shelling by Sudan. Members of AIM Air, who transport aid to the refugee communities, said the biggest obstacles affecting relief efforts are the bombing, shelling and fighting in Jau and Yidra, communities inside South Sudan. These regions are home to the largest Christian community in South Sudan and Sudan. More than 300,000 people have been displaced by the conflict, which began on June 6, 2011. 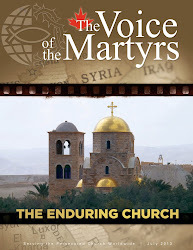 Please pray that God will continue to sustain His people there! For more on persecution in Sudan, please visit our Sudan Country Report.